Do park homes depreciate in value? For many people, park homes offer a very appealing way to downsize, especially for older residents and retirees. This is because they're small, easy to manage, and often located on peaceful estates in the countryside. But, they’re quite different from traditional houses, so you should be aware that they don’t accrue value in the same way. Unlike their brick and mortar counterparts, a park home will usually depreciate in value over time. This is because a park home isn’t classed as a permanent structure, and you won’t own the land on which it is located. But, given that park homes are much more affordable than traditional houses, and that you can’t take out a mortgage on them, this isn’t an issue in the same way it would be with an ordinary property. While it’s perfectly normal for a park home to depreciate in value, this isn’t always the case. Those who buy in sought-after areas could even find that they retain their value for a number of years if they are well-maintained and cared for. Maintenance is key to helping your park home hold on to its value. Regularly repairs and touch-ups can help to extend the lifespan of your property, so once you've settled on your dream home, you'll need to come up with a plan to keep it in great condition. We offer a range of park home maintenance packages that will take care of everything you need, so you don't need to worry about carrying out repairs yourself. If you're not sure whether one of our care plans will suit you, or just want a breakdown of the sort of costs you can expect for different packages, then take a look at our guide to GoldShield care schemes to learn more. If you’re worried about an inherent defect lowering the value of your property further down the line, then take a look at our park home warranties, which will cover you if an inherent structural problem is discovered later on. We would also recommend that you have a survey carried out by a qualified surveyor, as this will make sure the park home you are buying is a sound investment and there aren’t going to be any major structural issues further down the line. This is an especially important step if you're buying a pre-owned park home, as these are more likely to need more frequent repair work. Should I treat a park home as an investment? Generally speaking, a park home should be treated as a retirement home, rather than an investment or asset. 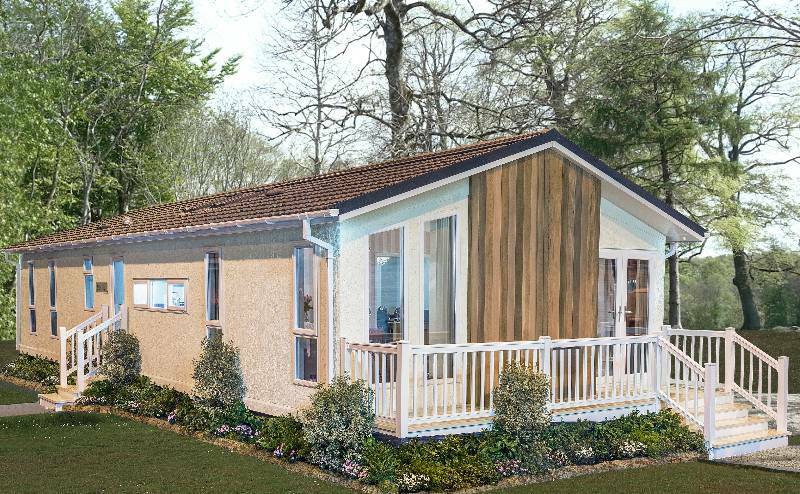 A modern, newly built park home will last for around 70–80 years, although this will vary depending on how well the property is maintained and cared for. That means that park homes are not as long-lasting as most traditional homes, so they tend to be more suitable for those looking for a retirement home, rather than a long-term investment property that will grow in value over time. As most residents are simply looking for a way to live out their retirement in comfort without worrying about moving again, the lack of longevity is not a problem — particularly for those who would rather free up their equity then invest in property. It's true that park homes won’t accrue value in the same way as a traditional home, but if you're simply looking for a place to live out your retirement in comfort and peace, they can be a great way to downsize and free up equity. To learn more, take a look at our guides to buying a park home and downsizing.